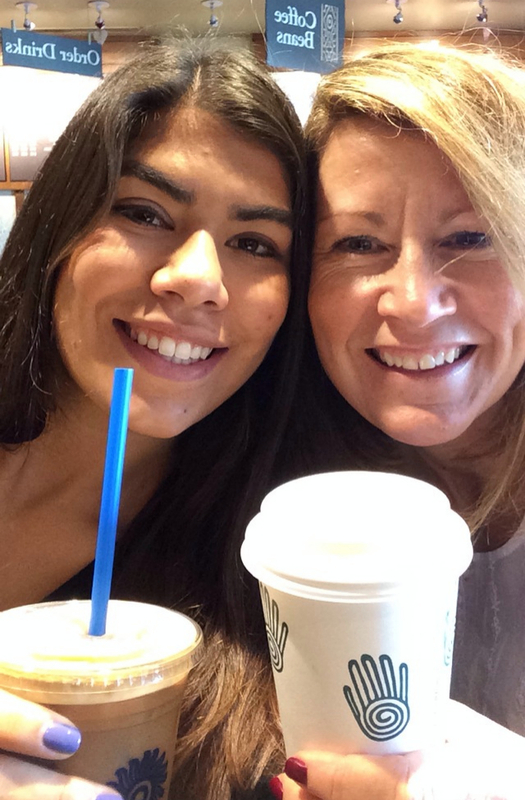 Dani and I enjoying one last cup of java before she boarded the plane for her semester abroad program. The idea for this blog was born when my oldest daughter embarked on an adventure to New Zealand. She was just beginning a college semester abroad program and would be almost 6,000 miles away for 4 1/2 months. I knew she would be longing for some home cooked meals while away. To bridge the gap, I set out to arm her with some of her favorite recipes that were relatively simple, inexpensive to make on a student budget and yet healthy and satisfying. I also wanted her to “feel the love” across the miles. While away, she would reach out on Facetime or Viber and say something like, “I want to create your yummy Mac ‘n Cheese for my Swedish roommate. Can I have the recipe?” or “I’m in the mood for your delicious kale soup (aka Bean and Kale Minestra). What ingredients do I need?” I was able to post some of her favorite recipes here. This project has evolved and now I aim to capture all of my family’s favorite recipes here as well as share new delicious dishes as I stumble upon them. My hope is that both of my children will cherish these recipes and one day share them with their families.